Take this quiz and find out what salon tool you can’t live without! Take this quiz and find out what salon tool you can’t live without! Take this quiz and find out what salon tool you can’t live without! Honestly, can you even get through a day without taking a quiz online? We didn’t think so—that’s why you NEED to answer these five questions and we’ll reveal what tool you can’t live without behind the chair! Plus, when you get your results you are automatically entered to win a Hot Tools Professional blow dryer, flat iron and curling iron from their new BEE BEAUTIFUL line! 1. It’s Monday morning and you’re booked all week…who is sitting in your chair? A mix of young professionals and trendy moms. Put-together millennials who know what they want. I have a chill, cool-girl kind of clientele. 2. On a perfect day, what does your schedule look like? Iron work—when a client cancels, you’ll find me practicing on a mannequin. Experimenting—rough-drying hair for quick texture or creating a fun flat iron tousle! It’s arm day all day for me—give me that blow dryer! 3. What magazine does your client pick up at your station? Rolling Stone—my clients are either reading this or texting. Vogue or something like it—my clients are all about quality. Cosmopolitan—my clients love advice columns and celebrity gossip. 4. You’re working in your dream salon—what’s it like? An upscale salon where employees and clients are always treated well. It’s a blowout bar and I LOVE it. A trendy boutique—something small, but exclusive. 5. Your client is giving you creative freedom with her upstyle—what do you do? Offer a pretty chignon—it’s classic, just like her. Something perfectly imperfect—it’s always good to practice! Beach waves and braids all day! This Quiz Will Tell You What Tool You Can’t Live Without Behind The Chair! BEE BLOWN AWAY! 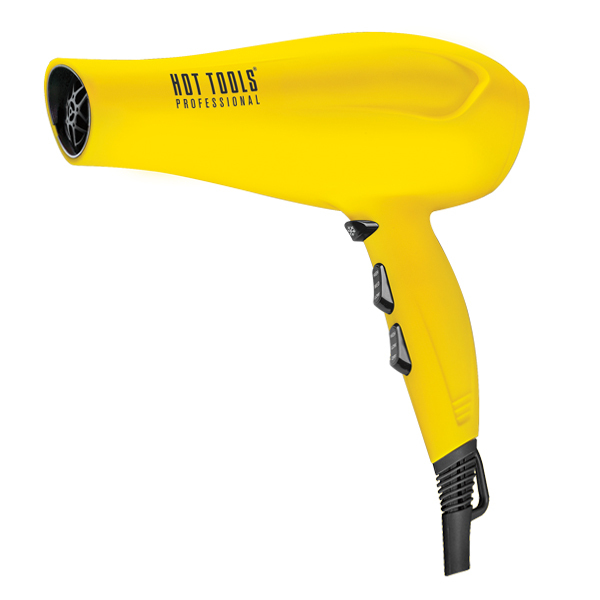 You got the NEW Salon Ionic Dryer from Hot Tools Professional! You can’t live without your blow dryer, and you definitely LOVE giving your sophisticated clientele—full of businesswomen and moms—a perfect blowout that’s sure to last them through their busy schedule! BEE CURLY! 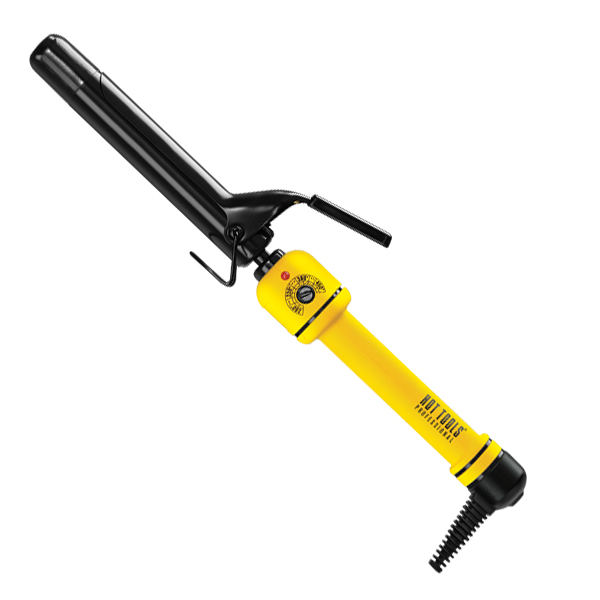 You got the NEW Salon Curling Iron from Hot Tools Professional! You can’t live without your curling iron—seriously, if you could bring it with you everywhere, you would! This is great since your clients consist mostly of older millennials who know what they want and are always on a schedule. And thanks to your trusty curling iron, you always deliver. BEE FLAT IRON! 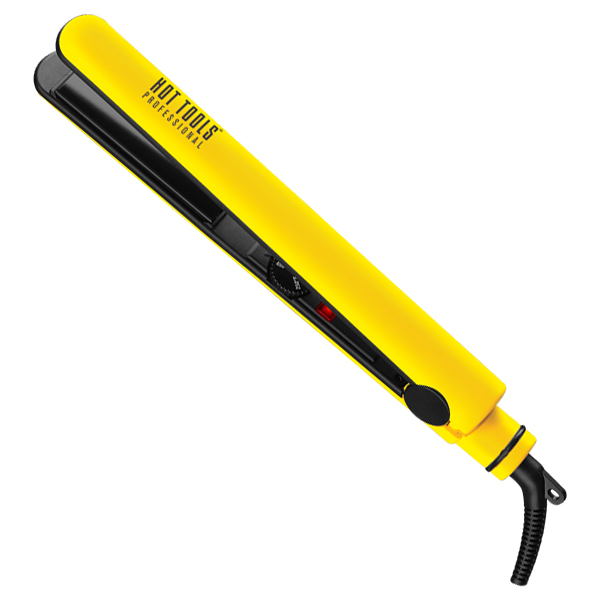 You got the NEW Salon Flat Iron from Hot Tools Professional! You can’t live without your flat iron. Can anyone? It’s so versatile! We’re guessing you’ve already perfected those Insta-approved beach waves and sleek-straight finishes, and now it’s time to experiment. Our suggestion? Try a textured and tousled S-wave on your cool-girl clients—the flat iron makes it more than possible.